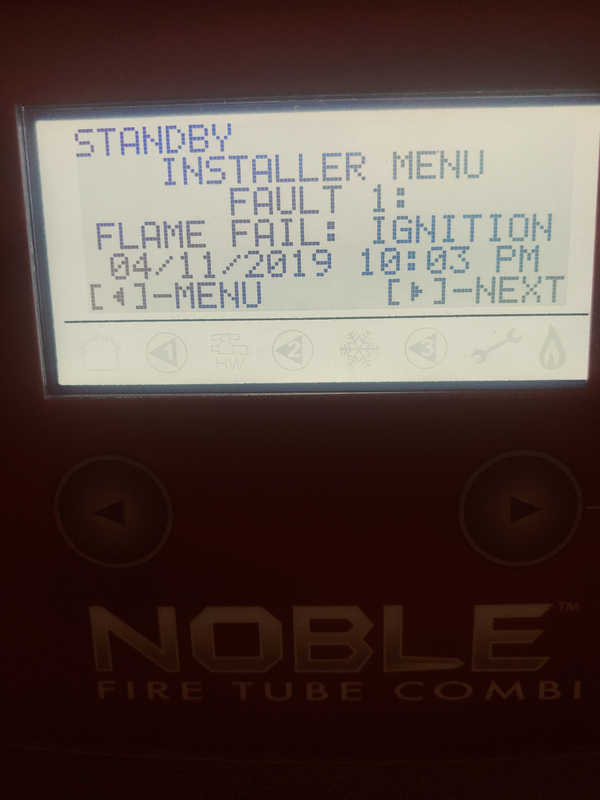 I have a six month old Lochinvar Noble NKC 199 and getting a Flame Fail Error. She lights ramps up and then goes to post purge. Check the connection of the flame sensor. Thank you @Leon82 - I'll do that today . The Guys at Lochinvar were very helpful. Lochinvar advised it appeared to be combustion related and had me make very small changes to the throttle adjustment screw. I have it to the point where she stays lit both on high fire and low fire but will need to get a combustion analysis done to make sure she is in acceptable range. I have to say the Lochinvar Noble is very easy to work on. Don't forget to check the incoming gas pressure, during high and low fire. Have them leave the combustion report inside the boiler. Should be 2 analysis, high and low fire, and also have them write down the flame current during both firing rates.